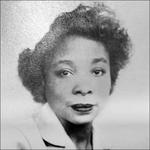 Obituary for Willa Mae Patterson | McGuire Funeral Service, Inc.
Willia Mae Patterson, 94, of Columbia, MD, was born in McCormick, SC to Francis Cartledge and Allan Patterson. She retired from the U.S. Department of Education as a Program Specialist after more than 40 years of government service. She is survived by her identical twin sister, Lillia Patterson of Columbia, MD; her younger sister, Maggie Patterson James of Columbia, SC and other relatives who oversaw her loving care.